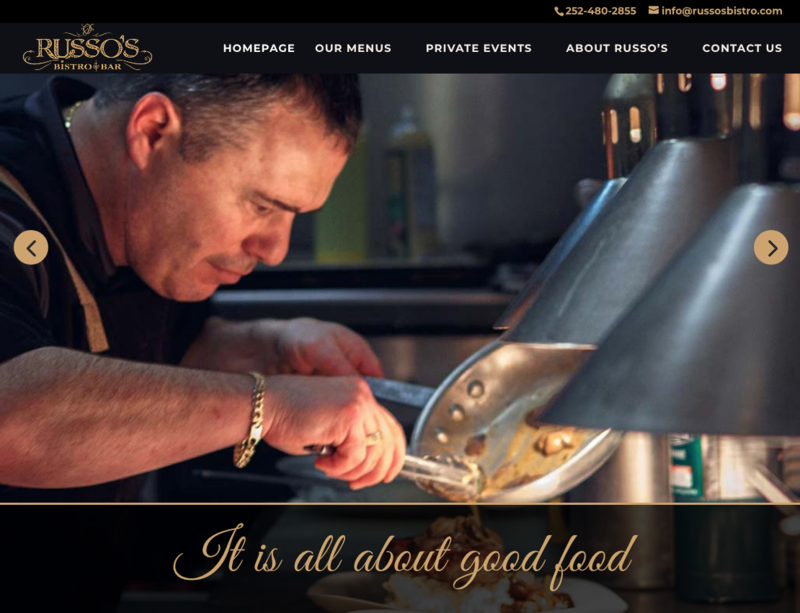 Russo’s Bistro & Bar was in need of a website to establish a web presence as a new business in the Outer Banks. The website’s theme was derived from the restaurant’s elegant ambiance. Joey and Olga Russo are a personable, warm duo who want to provide an experience, not just a meal. This is visually shown via vibrant photographs of the entrees, owners and the restaurant itself.